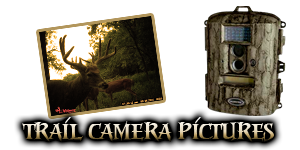 We are a Southeast Kansas Outfitter, Located near El Dorado, Kansas. 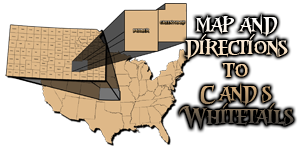 At C and S Whitetails, we strive to remain one of the leading outfitters in southeast Kansas. Our attention to detail enables our clients to enjoy one of the most rewarding hunting experiences possible. You always hear that in order to kill a monster buck you have to hunt where the monster bucks live. What you do not hear is that your hunt will only be as good as your property. C and S Whitetails is smack dab in the middle of Kansas monster buck territory and we have the monster bucks. We manage our properties to ensure that you have the best hunt possible. The experience that we provide is a top quality hunt. Because it is called hunting, we do not guarantee success. 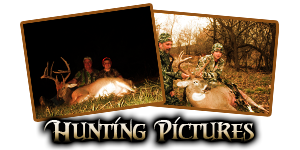 What we do guarantee is you an exciting and challenging whitetail hunt or turkey hunt. To ensure that we are one the best Kansas outfitters we hold a 135” minimum and encourage doe management. At C and S Whitetails, we only book 6 hunters per hunt. Having over 19,000 acres of prime property, we have chosen more than 100 stand locations that allow stealthy entry and exit, as well as accounting for seasonal movements, topography, wind and thermals. By doing this, we assure that no area gets over hunted. We proudly support our armed forces. 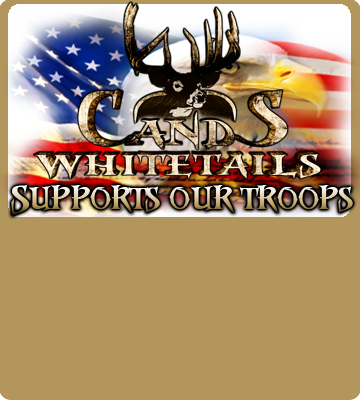 C and S Whitetails understands the sacarfice for our freedom. We proudly offer military discounts for all armed service members. We realize the very limited window that you have to enjoy the outdoors and we our flexible to help you get in the woods and enjoy the freedom of the outdoors. 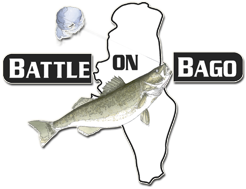 February 27th and 28th The Battle On Bago will be having a fishing Tournament where $250,000 in fishing and raffle prizes will be given away including 3 Whitetails Hunts with C and S Whitetails. Best of all, there are fishing prizes in a variety of tournament placements, including a 2014 Ford F150 for 150th place, a 2014 Ford F-150 at 900th place, a Lund 1875 Impact with a Mercury 150hp motor for the 400th place winner and a 1650 Rebel XL Sport with a Mercury 90hp motor for the 600th place winner. For more info click logo.